THERE'S a dark cloud hanging over St James' Park with turmoil off the field combining with poor results on it to create a perfect storm. The fans are still firmly behind boss Rafa Benitez, with owner Mike Ashley viewed as the arch villain for his lack of investment in the team, but even the canny Spaniard is failing to work his magic this season. Six games without a win tells the story of just how much Newcastle are struggling and their latest defeat, a 2-1 loss at Chelsea, saw them drop back into the relegation zone. The FA Cup offers them an escape from that grim battle against descent into the Championship but the Magpies only scraped a replay with Blackburn thanks to a late Matt Ritchie penalty. 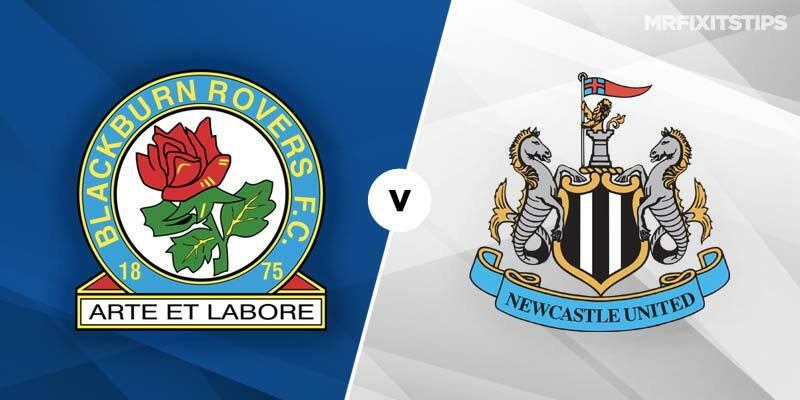 That suggests a struggle at Ewood Park and the bookies are finding this one a tough match to call, with 888sport making Blackburn the slight favourites at 29/20 ahead of Newcastle at 39/20. The draw is 9/4 and that might be the best option over 90 minutes as this one could go all the way to penalties. Blackburn are in decent form, having beaten West Brom either side of the Cup trip to Tyneside, so if you're backing any side to get through they look the better option at 4/5 with 888 Sport. A repeat of the 1-1 draw at St James' Park could well happen and you can get odds of 21/4 on such an outcome at 888 Sport. Given Newcastle's troubles in front of goal, scoring just three times in six games, in no surprise to see under 2.5 match goals as short as 7/10 with 888 Sport. You need to look elsewhere for a bit of value and that could come in the card market, where over 3.5 cards is 9/5 which looks pretty tempting. In the goalscorer markets, I like the look of Ritchie to repeat his feat from the first leg. The winger is 11/1 for first scorer and a generous 5/1 for anytime scorer given he could be handed penalty duties again. But check line-ups as Newcastle will be weakened and Rovers bound to rest some players too. Blackburn's Adam Armstrong came off the bench to score against Millwall and that could earn him a start for this clash. As a former Newcastle trainee, he could be the man who dumps his old club out of the Cup. He's 6/1 for first scorer at 888 Sport and 13/5 to net at any time.